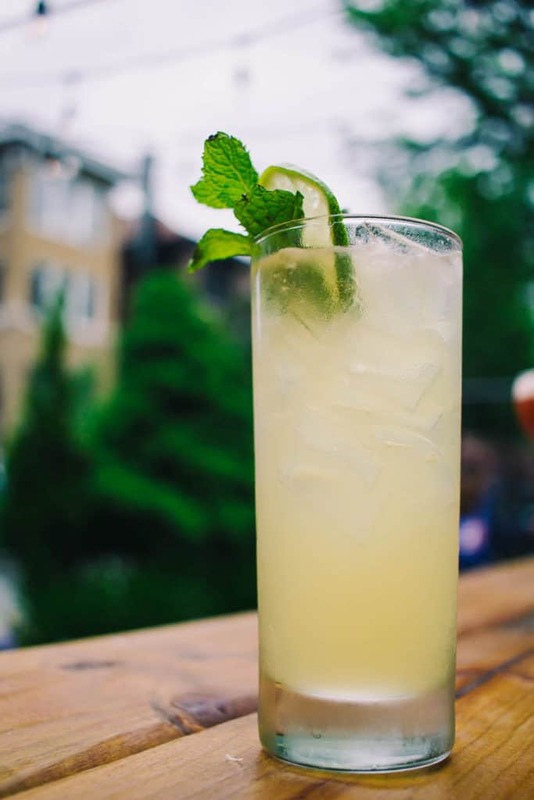 Have you considered checking out Andersonville Midsommarfest from June 8th – 10th? Here’s 6 Food Vendors You Need to Check Out At Andersonville Midsommarfest This Year. It’s that time of year, when the days are getting longer and warmer again, so come have a drink, eat a lot, browse some amazing merchants and listen to some live music. 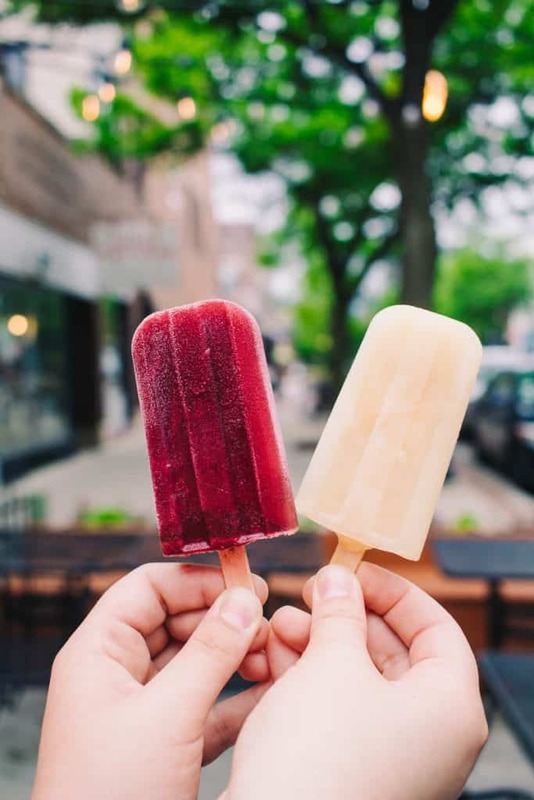 We’ve teamed up with the Andersonville Chamber of Commerce to highlight some Andersonville Restaurants & an Andersonville Farmers Market vendor that will be at Midsommarfest this year. Here’s some of our favorites! This Dutch American bistro is a cozy, eclectic space with a stellar patio. The decor is inventive, and changes often as the employees put together their own art pieces for the space. Vincent is casual, inviting and inspiring with an upbeat, ambient music selection, and a staff that will make you laugh, while simultaneously making you feel like an old friend. It’s impossible to not have a smile on your face in here. 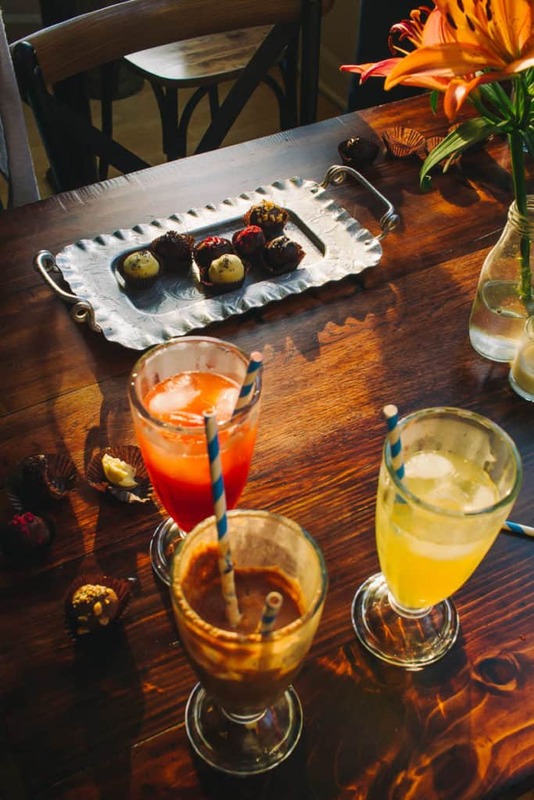 We would classify this place as an ideal date night spot, that isn’t stuffy in the slightest. So order some wine (or cocktails), some frites and mussels and stay awhile! 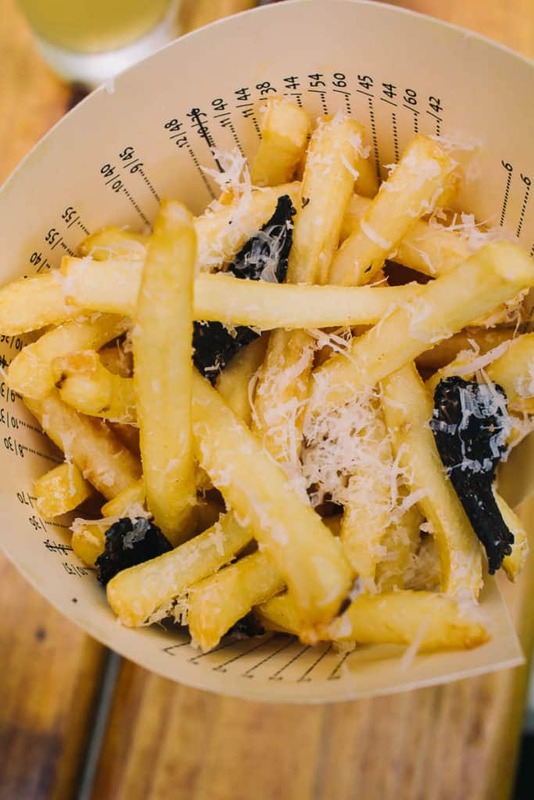 At the festival, you should try some of their signature parmesan, truffle frites. You could say we were a fan! They will also be serving up some amazing made in-house popsicles that will only be served at the festival. We loved the blackberry-basil and the ginger-citrus equally. If you’re not able to make it to the festival, we’re sad for you, but here’s what you can expect in the restaurant. During the weekdays, you can expect dinner service only, closed Mondays. Sundays offer brunch from 10-2, and dinner service. 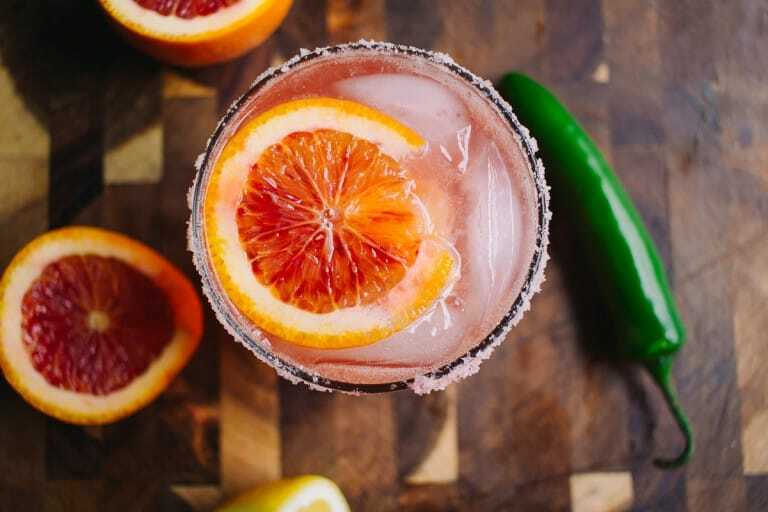 Their cocktails are well thought out, with fun names and even better flavors. 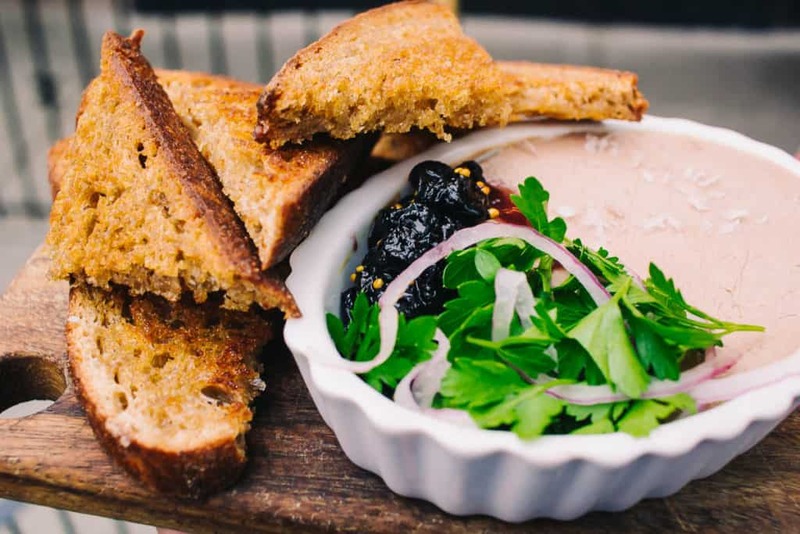 We even tried owner Michael Bransford’s favorite menu item – the chicken liver mousse. We basically licked the dish clean. Also pictured below is the “High & Tight” – a kaffir lime infused gin, with lemon, cardamom bitters and sparkling Yuzu sake. Chamere had the “Ugly Brother” with angostura bitters, Buffalo Trace bourbon, citrus, vanilla-cinnamon, mint & egg white. Highly recommend their fun and inventive cocktail menu. If you can’t wait for Midsommarfest to stop by Vincent’s booth, click here to make a reservation. We won’t judge you. In fact, we encourage it! You can check out all of the pictures we took at Vincent here. Speaking of patios, Jerry’s has one of the best in Andersonville! Jerry’s is a massive space, with the ability to seat over 100 people, that’s been serving the Northside some of the best sandwiches in town. Not to mention, their menu is extensive, and we mean HUGE with over 100 sandwiches to choose from. The offer some delicious sides, salads, apps, cocktails and huge beer list too. We recently discovered they offer tons of gluten free options as well, which is really great for those with this dietary restriction! This place has been a long time favorite of mine, so it was such a pleasure to feature these guys in time for Midsommarfest. If you’ll be at Midsommarfest, here’s what you can expect to see. Some delicious elotes, fresh made strawberry lemonade, a variety of sausages and bratwursts, and some ice cream cookie sandwiches! We were fortunate to sample almost everything, and let’s just say they really hit the spot. If you’re coming into Jerry’s outside of the festival, here’s a few of our picks. Their menu is seriously extensive, so the least we can do is give you an idea of what’s on the menu all the time! We ordered the Harland S, a buttermilk-marinated & fried chicken sandwich with American cheese, house pickles, mayo, Crystal hot sauce and lettuce on Challah bread. We also tried the famous Jerry’s Club – with turkey, applewood bacon, pepper jam, root beer ham, avocado, house pickles, cheddar, lettuce, red onion and southwest mayo on Challah bread. This might have been our favorite!! I mean, look at that stack! Lastly, we were pleased to make the Curly H acquaintance. We ordered it on the gluten free bread, and we were still in love! The Curly H consists of house corned beef, cheddar, fried onion, house pickles, horseradish dressing and lettuce. Have you been to Jerry’s before? Will you be stopping by at the festival? Here’s all the photos we took at Jerry’s, if you want to take a peek. Katherine Anne Confections was such a (literal) treat to visit! 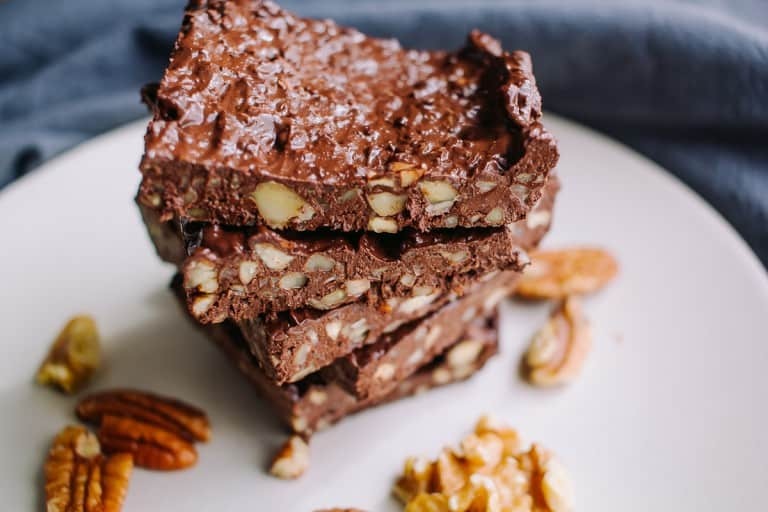 Owner Katherine Duncan has been making confections, truffles and marshmallows with ingredients on her family’s farm since she was a little girl. As she grew older, she was initially confused by the fact that people didn’t know how to make such treats on their own, and then realized this was an opportunity. 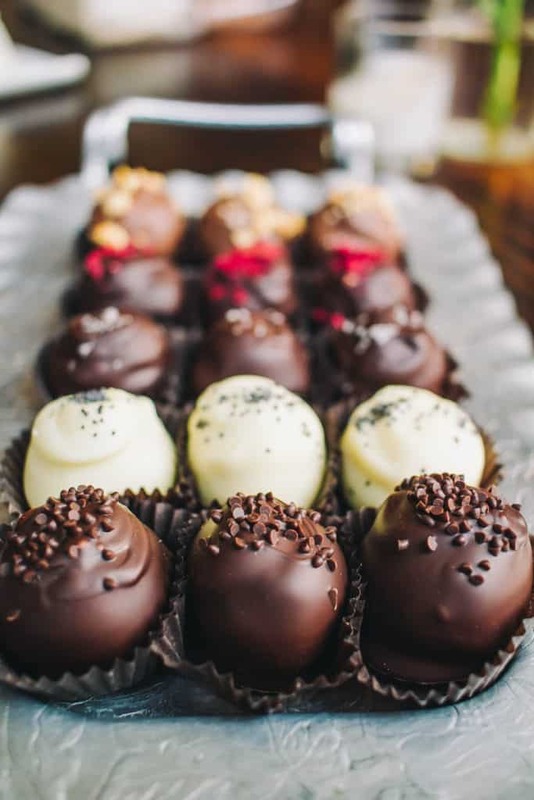 Katherine Anne Confections has been in business since 2006, selling all kinds of delicious treats in their gorgeous store in Logan Square, as well as various Farmers Markets around the city and online. She’s famous for her gorgeous and creative truffle flavors, marshmallows and her drinking chocolate. Katherine sources all of her ingredients very carefully, using organic and hyper local ingredients to make her creations come to life. She knows all her of farmers by name, and everything is made with care and her amazing artistic touch. 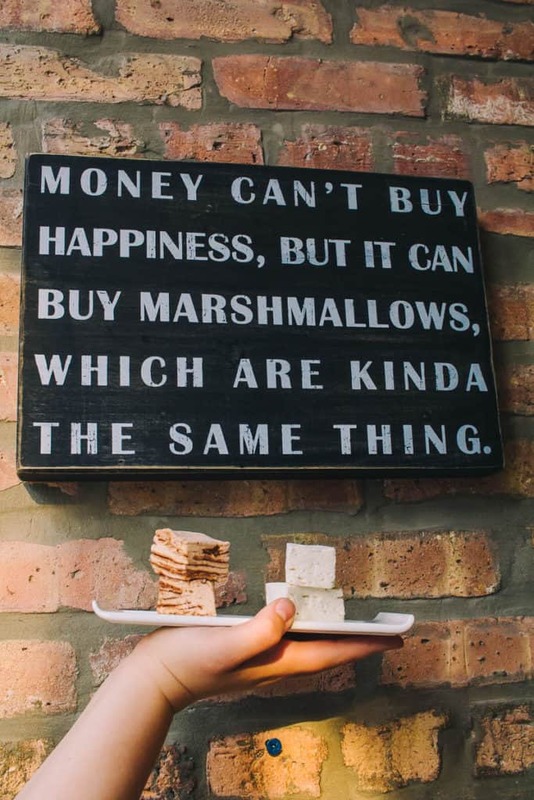 At Midsommarfest, we can expect to see one treat for sure: this s’more that is pretty next level. Homemade marshmallows, torched and then rolled in her salted caramel drinking chocolate mix before being set between two homemade graham crackers. 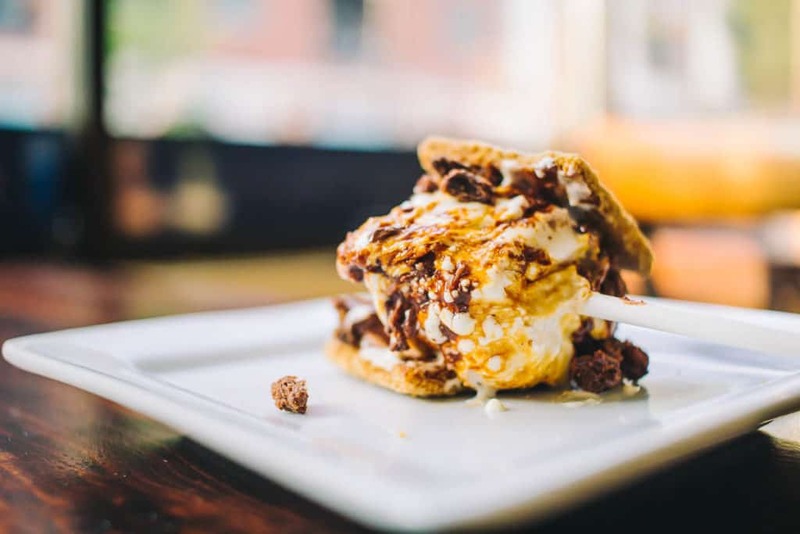 We’re pretty positive you haven’t had a s’more like this before! Katherine will surprise us with her other offerings that will be coming with to the festival, and it kind of depends on the weather. She doesn’t want anything to melt! We will show you a bit of everything that we were able to try! We tried some fresh made truffles. The one with the nuts on top is a milk chocolate hazelnut. Then came for the red top, a vegan dark chocolate, raspberry truffle. My personal favorite was the salted caramel dark chocolate, with the salt sprinkles on top. The cream colored one is the lemon poppyseed. Lastly, the dark chocolate with the chocolate chips was the creme de menthe. They were as delicious as they are beautiful. To cool off we tried a couple varieties of lemonade. The fermented ginger lemonade is made for apple cider vinegar, super refreshing. 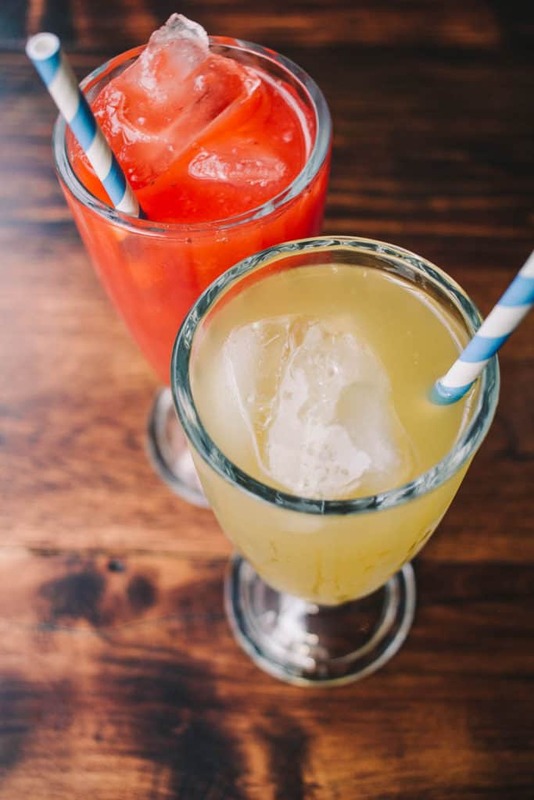 The red one is a strawberry, rosemary lemonade, made with market fresh strawberries. We tried Katherine’s homemade marshmallows, vanilla and mocha. My favorite was the mocha! Lastly, we had to try some of her famous drinking chocolate. Made with real chocolate and cream. It was truly heavenly. 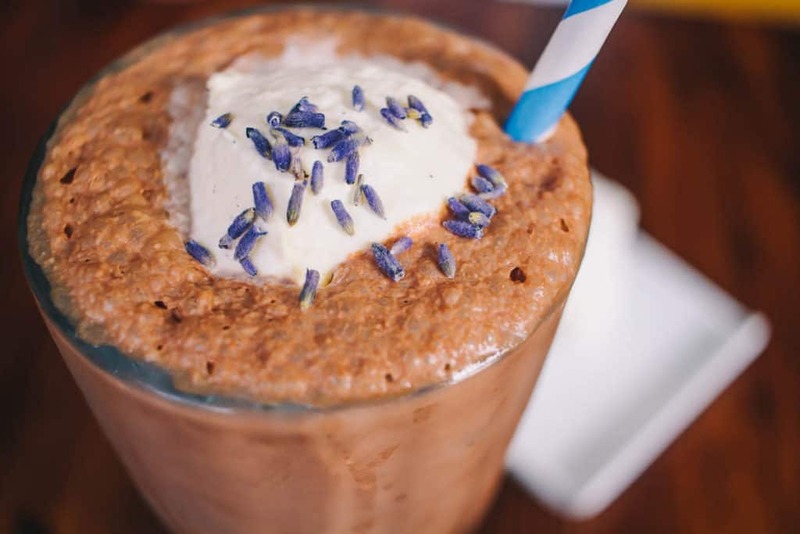 She has all kinds of flavors, but we wanted to try the brown butter lavender. It was the perfect subtle hint of lavender. Truly lovely. If you’re salivating, feel free to order something online. If you can’t catch Katherine at Midsommarfest, be on the lookout for her at the following locations during the week: Andersonville Farmers Market every Wednesday, Daley Plaza on Thursdays, Saturday is the Evanston Farmers Market, Sunday she is at the Glenwood Sunday Market and Logan Square Farmers Market. You can also drop by her store in Logan Square, everyday except Mondays. You can also check out all the photos from our visit here. When you step into Hamburger Mary’s you can feel the good vibes all around. Everyone is high energy, quick witted and always smiling. 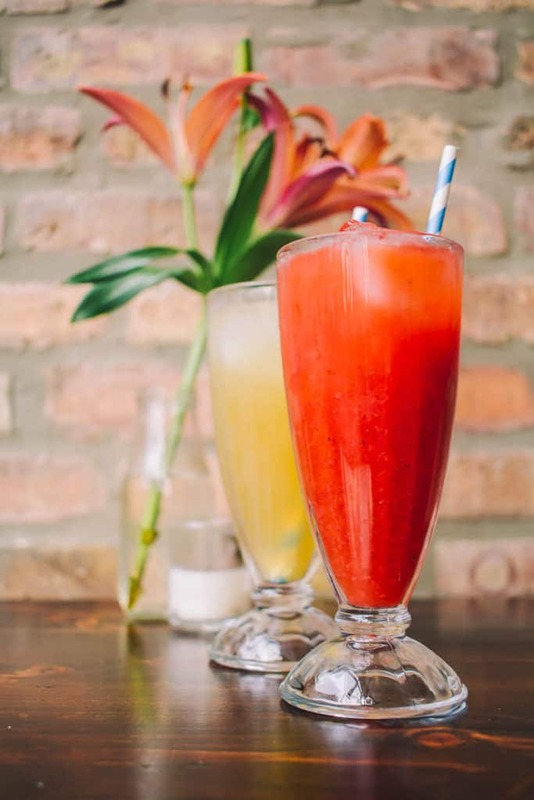 You can expect lots of juicy burgers, strong cocktails, and house brewed beers from Andersonville Brewing next door. 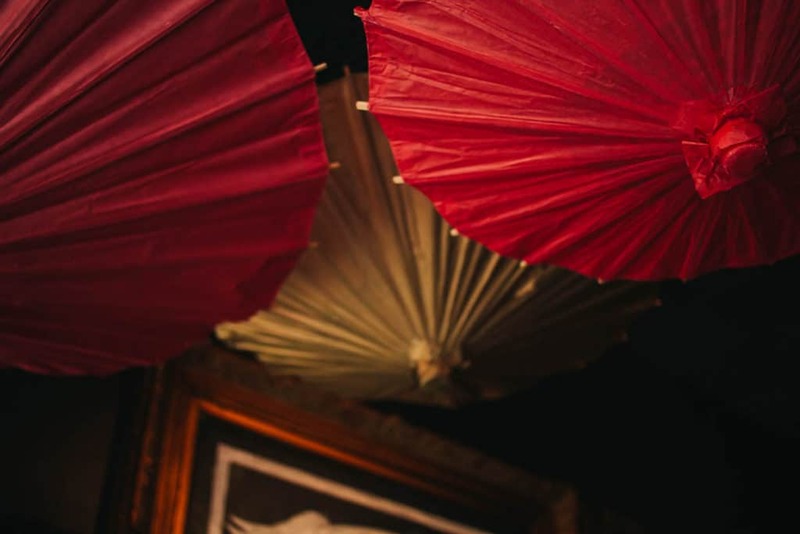 There’s fun for everyone here, with a large dining room, patio space in the summertime and Mary’s Attic upstairs that hosts cabaret shows, and drag shows on the weekends. They have a super fun Divas Brunch on Saturdays and Sundays, with a drag show starting at noon. Sundays even have $16 bottomless mimosas. We’ll have to report back on that soon after we check it out. There’s also drag queen bingo on Monday nights, and comedy club on Wednesdays. Stop by, have some drinks, bites and lots of fun. At the festival, you can expect to snack on these delicious beer battered Wisconsin cheese curds. Just look at those cheese pulls. There will also be plenty of burger sliders – a veggie friendly black bean patty as well as regular ‘Mini Mary’ burger sliders. We also tried a few signature items, that you should definitely order when you into Mary’s separately from the festival. 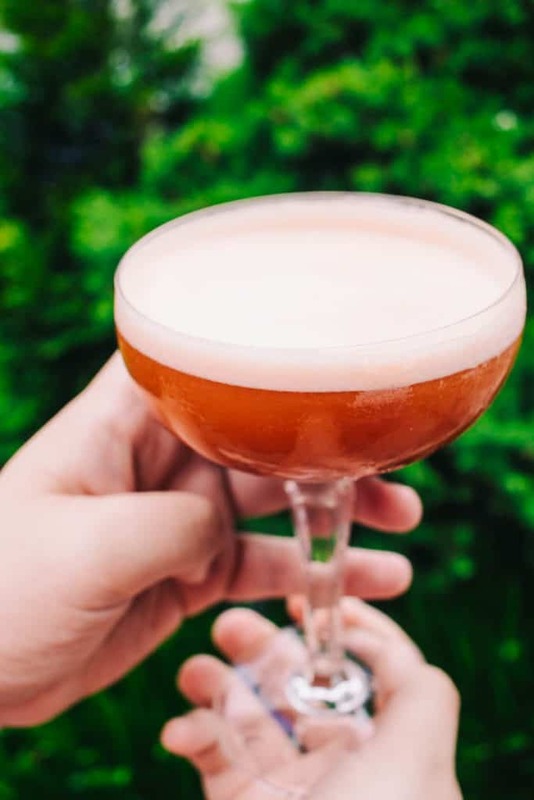 Let’s start with this amazing Leg Cocktail – which is basically just a huge leg shaped glass that you can take home, and have it filled with any cocktail. We had a Mary’s Mai Tai! We also tried a Mary’s Mule, and a Margarita. Just how we like it! We tried the ‘Britney Fried Spears’ – which are deep fried dill pickles. I don’t even really crave pickles, but these sure were tasty. We also loved the Mac and Cheese Fritters – which are just glorious balls of deep fried mac and cheese with BBQ dipping sauce. What’s not to love? We had to get our hands on this yummy Cuban sandwich. Looks stacked to us! Let us know if you plan on stopping by Hamburger Mary’s at the festival, and feel free to check out the rest of the photos here! Fireside Restaurant has been a staple in the Andersonville/Ravenswood neighborhood since 1904. Conveniently located across from Rosehill Cemetery, they may have some spooky stories to tell (check out this video for ghost stories!!) but they are always whipping up delicious dishes with a smile. Locals come here to watch sports, catch up and grab a bite late into the evening. You can also bring your dog and sit on the front patio. They have a fantastic (and heated) outdoor patio space that makes you feel like you’re on vacation. They also have a great cozy fireplace (hence the name, Fireside!). 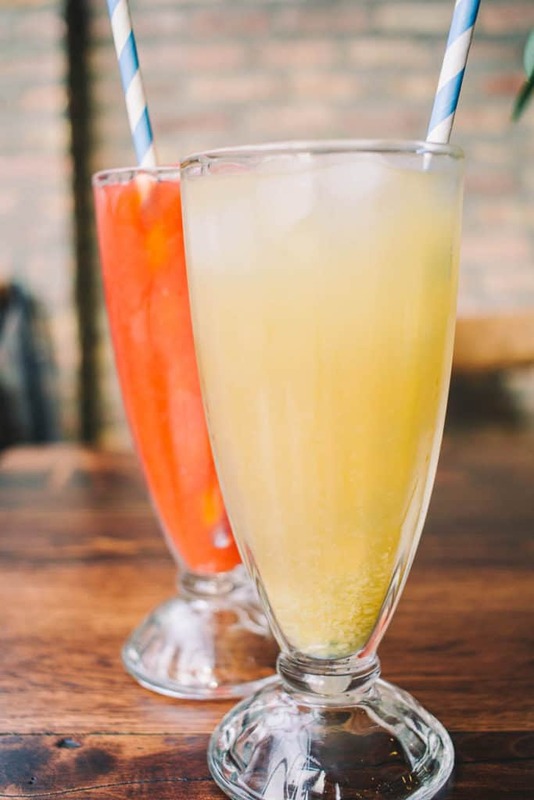 The drinks here are strong, tasty and a great value, so you can kick back and relax. Saturdays and Sundays, Fireside hosts brunch, with an insane build your own bloody mary bar with over 250 ingredients and 40 different vodkas! Holy smokes. If you have a designated driver, they will be pleased to know that free street parking is plentiful. Just make sure you’re getting to and from responsibly! The menu has a Cajun-American flare, you’ll notice some pretty classic menu items, but many offer a little Cajun spicy kick. There really is something for everybody here, with a wide variety of dinner, drink and dessert offerings. At Midsommarfest, they will be bringing along a couple sandwiches, like the country fried chicken sandwich, a new menu item, complete with breaded and fried chicken breast, with cajun mayo, lettuce and tomato. They’re also bringing along a smothered pulled pork sandwich. On our visit we also tried some signature dishes, like their blackened chicken pasta, complete with a spicy alfredo, parmesan cheese flakes and topped with spicy, blackened chicken. This was a our favorite dish! Chamere is a sucker for anything spicy, and anything alfredo, so this was a winner! They are also pretty famous for their rib dinners, look how big they are! Now, onto the most fun part – cocktails! Chamere and our friend Flo, of Flo’s Favorites both ordered coconut mojitos, complete with Bacardi light rum, muddled mint, lime, pureed coconut and club soda. We were big fans of this drink. I ordered a ‘Modern Epicurean’ with muddled lime, Bombay Sapphire, St. Germain elderflower liqueur and cranberry juice. Loved how refreshing it was. Our friend Christine had this massive Lava Flow, which was a Pina Colada poured over pureed strawberry! Seriously, it was huge! I don’t think we were able to finish it! We somehow managed to squeeze in dessert, even though we regretted it later, only because we were so full. We tried a lemon cake, and a coconut cake. Both great choices. We all waddled to our cars, happy and full. We look forward to seeing these guys again at Midsommarfest. Check out all the photos here. Calo Ristorante is a no frills, classic Italian spot serving up HUGE portions at fair prices. It’s no wonder these guys have been in business since 1963. Their building is pretty iconic in Andersonville at this point. 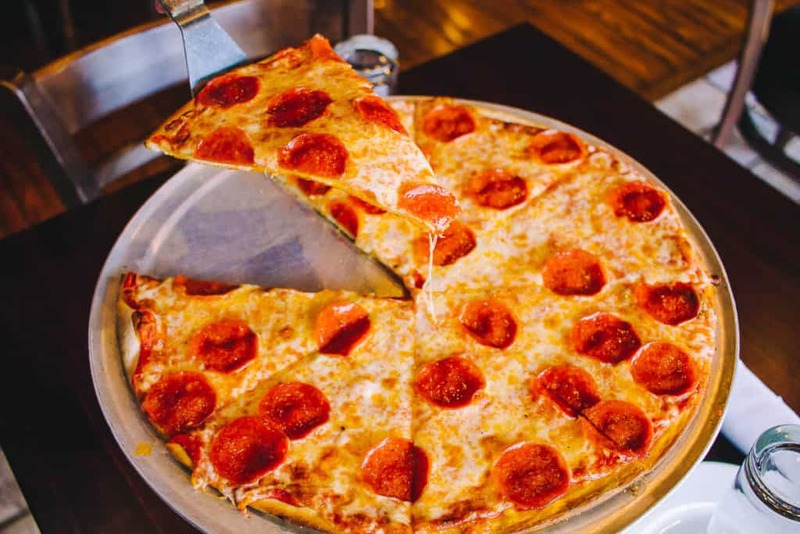 They’re family owned and operated, and they serve up some delicious Italian and American dishes, like pizza, pastas, and even fall off the bone ribs. They also offer seafood, and plenty of meats like veal and steak. We promise you, you won’t leave this place hungry. 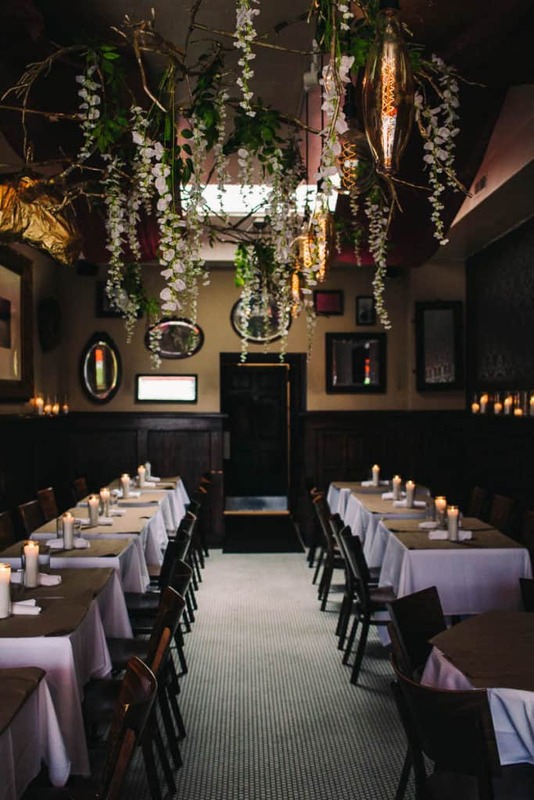 Calo is a great place for a date night, a business meeting and hosting a private event. They save a lot of space for private parties and have a lot of experience in this area. There’s also free parking for guests, just make sure you grab a slip from the attendant before leaving the lot and ask the staff at the restaurant to validate it before you go. At the festival, you can expect lots of pizza. So we tried some of their best, a thin crust and a stuffed pizza. Just look at these cheese pulls on the stuffed. The thin crust was also fabulous, and again, huge! Are you getting the theme here? 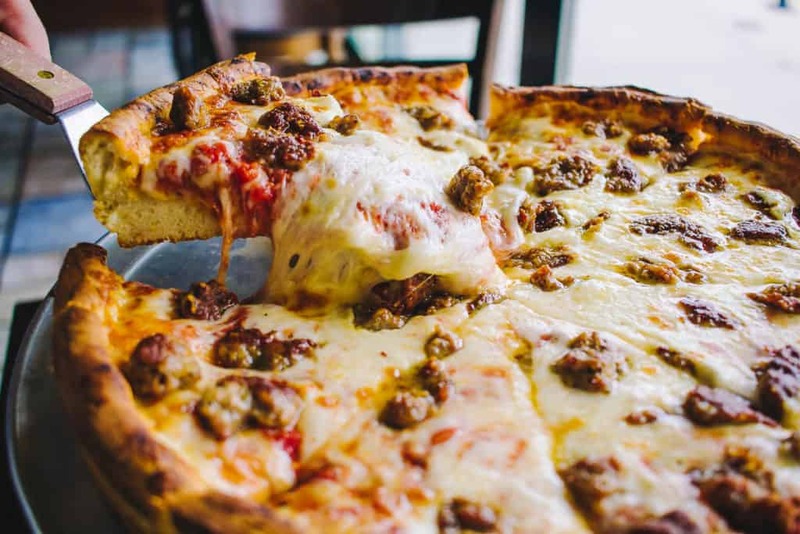 If you know us, you probably know that we loooove pizza, so finding another “new to us” spot serving great pizza makes our day. 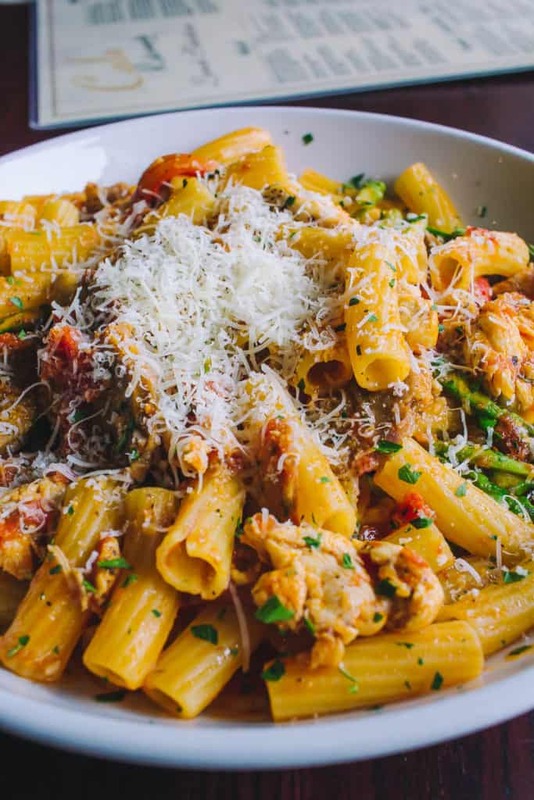 We also tried the Rigatoni Barese, with Italian sausage, chicken, asparagus, roasted red peppers, tomato sauce, garlic and EVOO. You can see we asked for lots of freshly grated parmesan on top. It truly was very tasty, and we had lots of leftovers (score!) Now, this dish won’t be at the festival, but you can find it anytime on their regular menu. We hope you guys are hungry to try some of these amazing spots at Midsommarfest. 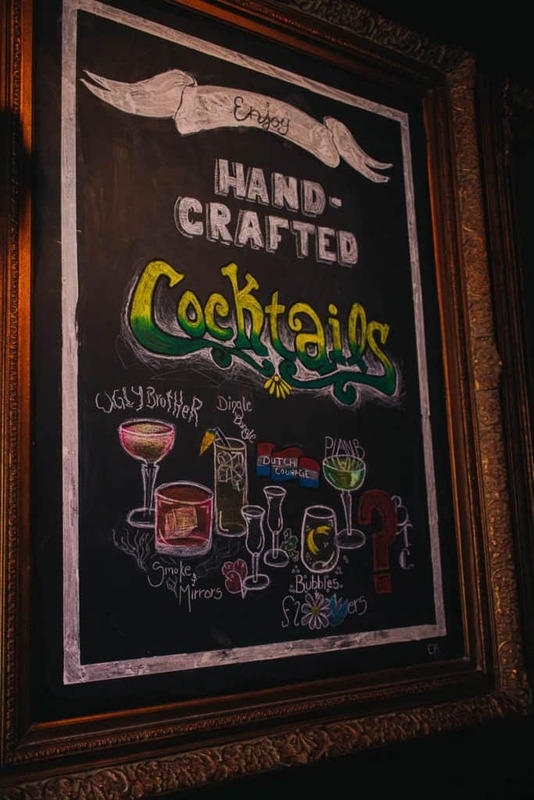 And if you can’t make it, we’re sure you’ll know where to head to next time you’re looking for a great spot in Andersonville. As always, shoot us a note if you’re coming or let us know if you’ve been before, or if you plan to check out any of these spots! VIP tickets for Midsommarfest can be purchased here. 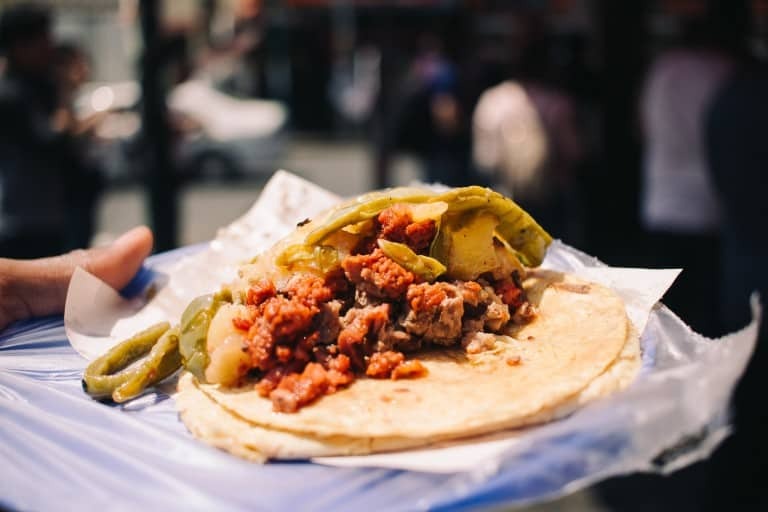 If this article made you hungry, do us a solid and share it with your friends! *This is a paid partnership with the Andersonville Chamber of Commerce. We picked vendors that we wanted to highlight at Midsommarfest. All opinions are our own. I really appreciate that you featured mostly local spots. Thanks for the article!